I’m not sure if it is a British thing or not bit we are a little embarrassed about asking for gifts even when someone has asked us what we want. It is only really when you get married that you prepare a gift wish list for your wedding guests to buy from – even then it isn’t something that all couples do. Personally I love a gift wish list, I like the organisation of it all. I prefer my family and friends to tell me what they would like for their birthday/Christmas etc. A gift wish list allows me to buy something within my budget whilst allowing the person receiving the gift to get something that they actually want rather than some random 3 for 2 gift set, something I think that they would like or some panic buy as I left it to the last-minute. With my due date for Piglet fast approaching I have made a baby wish list on Amazon. Partly to get my head around all the different items that I still need to buy and partly to point my friends and family in the direction of the things we want rather than ending up with 10 teddy bears which whilst look fabulous serve no purpose especially when a pack of bed sheets would have been much better and gratefully received. How do I add items to my Amazon baby wish list? What should I add to my Amazon baby wish list? 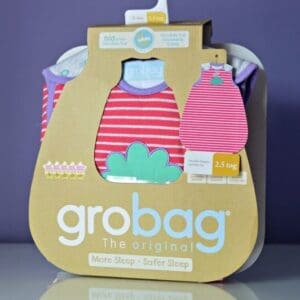 Everyday essentials – Nappies, wipes, muslin cloths, changing bag, bottle feeding or breast-feeding accessories (depending on your preference). A baby bouncer chair is also very useful as they can be used for soothing, napping and entertaining. Sleeping arrangements – Moses basket or crib for those first few months moving onto cot or cotbed for when baby is older. Add in blankets, sheets and bed sheets alongside baby sleeping bags and maybe a blackout blind for the window. Safety – Whilst many parents wait until their baby is mobile until they ‘baby proof’ the home it is worth adding on baby safety gates, furniture straps, door locks etc. The main thing you will want to consider is a baby monitor, whether you opt for one with a video feed or a standard monitor. 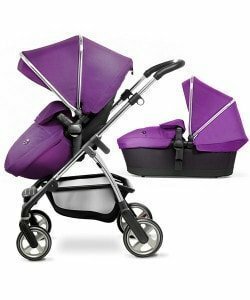 Travel accessories – Pushchairs, prams, car seats alongside sun blinds and changing bag can all be added to your baby wish list. Grandparents may wish to collaborate and purchase the pram etc. for the parents-to-be so letting them know which one you have in mind will make their decision easier. Activity – Baby is never too young to be entertained so adding a selection of toys alongside play gyms/mats or an activity centre. Feeding – Whilst you might not think about weaning for the first six months that time will soon come around so why not be prepared and add some baby spoons, bowls, storage pots and bibs to your baby wish list. A high chair is a must have if you have space available if not why not consider one that you add to a dining room chair. You can access your Amazon baby wish list here and manage both your personal details as well as removing any items from your wish list, changing the quantity needed or even the priority of the item. How do I buy from an Amazon baby wish list? Depending on whether the Amazon baby wish list is set as shared or public will depend on how you access the list. If a baby wish list is shared you will require the link given to you by the owner or co-owner. Public baby wish lists can be accessed via this link and searched via the owner’s name (usually the mum-to-be’s name). Once you have found the required baby wish list it is a case of taking a look at what they have on the wish list and selecting which item(s) you would like to buy, add it to your basket, add a note (if desired) and pay as you would normally on Amazon. The purchased item(s) will then be sent direct to the baby wish list owners chosen address (as set up when they registered the baby wish list). What do you think of baby wish lists? Thanks for sharing, I’ve used Amazon wish lists in the past, they’re great. First of all congratulations on your pregnancy. 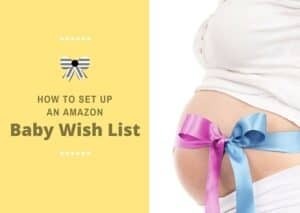 I wish I had known about amazon baby wish lists when I was pregnant, it would have made it so much easier for myself and others! That’s a really good idea! My family all use Amazon wishlists for birthday and Christmas and it’s brilliant. You can keep the baby list updated as they grow with ideas for future presents, my sister does that for her two and it makes it all so much easier as we don’t see them that often so I don’t know what things they already have. That is such a great idea! I can’t believe how fast your pregnancy is going! What a great idea! I will suggest this to some family and friends who are expecting. it’ always hard to know what a family need, particularly if this is their second or third child! This is a great idea for parents that have friends that want to help. I wish I had some sort of help when my girls were born. I can’t believe it is getting so close already. These wishlists are such a good idea and you sound like you have everything covered. I love the idea of having a list! I always struggle with presents when people have babies as everyone’s tastes are different. I’ve seen people offended by people buying their baby girls lots of pink things for example – this list idea gives people a clear idea of what’s wanted and needed!